Flint Mayor Karen I Love Rizzo Weaver and Great Lakes Water Authority CEO Sue McCormick have reached a 30 year deal for Flint to purchase water from the Great Lakes Water Authority. The City of Flint had signed up to purchase its water from the nascent Karegnondi Water Authority in March 2013 and the State of Michigan concurred in April. Everyone in Flint City government, save one councilman, has agreed to source Flint’s water from the KWA. Even Mayor Weaver. Until this week. The Weaver/McCormick deal has GLWA paying Flint at least $ 7 million a year to cover Flint’s share of the bonds issued to finance the KWA. A total of $ 210 million over the 30 year contact period. Where will that $ 210 million come from? GLWA is not the Federal Reserve, they cannot just create money out of thin air. GLWA will extract the money from the victims ratepayers in the other communities it ‘serves’. Mayor Weaver and CEO McCormick will transform GLWA water rates into yet another exaction imposed upon most of Southeastern Michigan to subsidize Flint. Without any input from those victims ratepayers. A blatant fee as tax evasion of Headlee. Governor Snyder, of course, approves wholeheartedly. This is government theft, Headlee evasion, and a rich fount of future corruption. The Administrative State or the People? The titanic political struggle unfolding in Washington is sucking the oxygen out of Michigan politics, but is analogous to the central political struggle which has been playing out here in Michigan for 48 years. Political media breathlessly report on a struggle between liberal Democrats and conservative Republicans. This struggle is not between Democrats and Republicans, liberals and conservatives, nor RINOs and true believers. The Democrats, liberals, and RINOs are completely discredited in Michigan, as they are across most of the United States. All that remains of them is jammed into the Hillary archipelago. The present political struggle is between the people and the administrative state. Call it bureaucracy, deep state, or administrative state: they are unelected government employees, their agents in the media, and the select beneficiaries of government largess. Their opponents in this struggle are the majority of Americans and Michiganders who pay the price for the administrative state; a now seething mass whose ascendancy was a rude surprise to the administrative state. The outcome of the struggle in Washington is yet to be determined, but in Michigan the administrative state is clearly winning despite its total responsibility for the Flint water fiasco. The administrative state owns Governor Snyder body and soul. 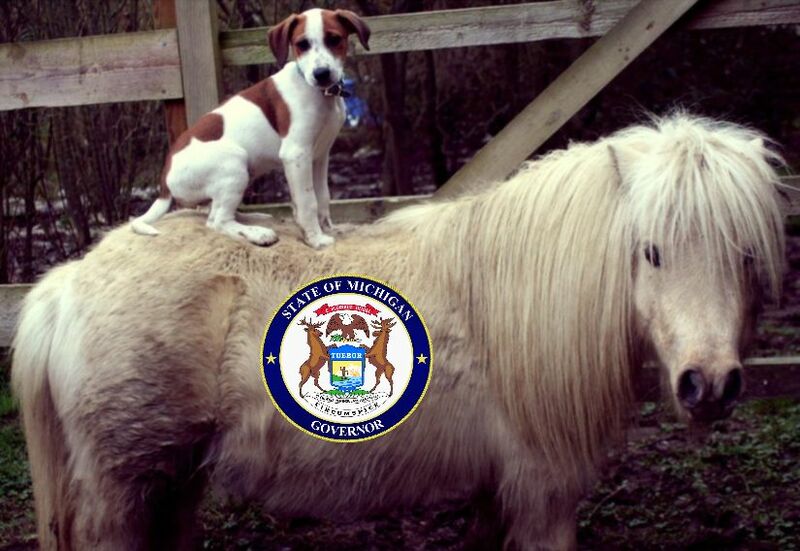 The administrative state will stop at nothing to manipulate the Michigan Legislature when the chips are down. 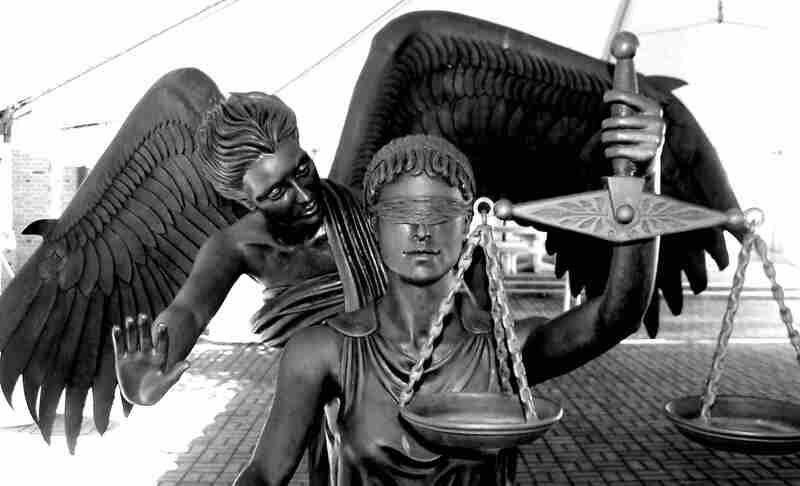 Refractory (but innocent) legislators are expelled before legal process while cooperative (but guilty) legislators sit unfettered until legal process is completed. How else can you explain the PA 177 of 2015 road tax package, indistinguishable from the soundly trounced Proposal 2015-01? Or the bogus Detroit bankruptcy which somehow neglected a $ 491 million financial hole which will haunt the city with a vengeance in 2024? Half the city’s annual budget. Or the refusal of Michigan government units at all levels to even consider tax reductions due to the simmering public employee pension catastrophe? Those pensions enjoyed by members of the administrative state are but a distant memory to the Michiganders who pay them. Indeed, all of Michigan’s units of government are jacking up fees to get around Headlee Amendment taxation limits. Michigan’s elites have clearly not absorbed the lesson of November 8th, yet. The Michigan’s Child Lead Poisoning Elimination Board issued their final report last week. 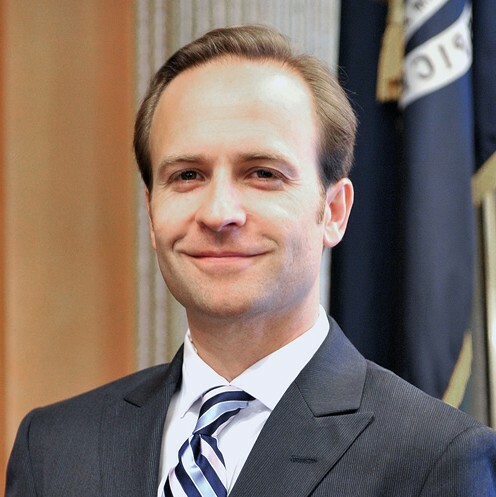 Chairman Brian Calley and his team of 14 politicians experts were empanelled by Executive Order 2016-09 to demonstrate that Governor Snyder actually cared about the Flint children exposed to lead, by his previously empanelled team of professional incompetents experts. The CLPEB’s recommendations are a liberal wish list of expensive dreams mostly unrelated to the underlying cause of the Flint water fiasco: government incompetence. 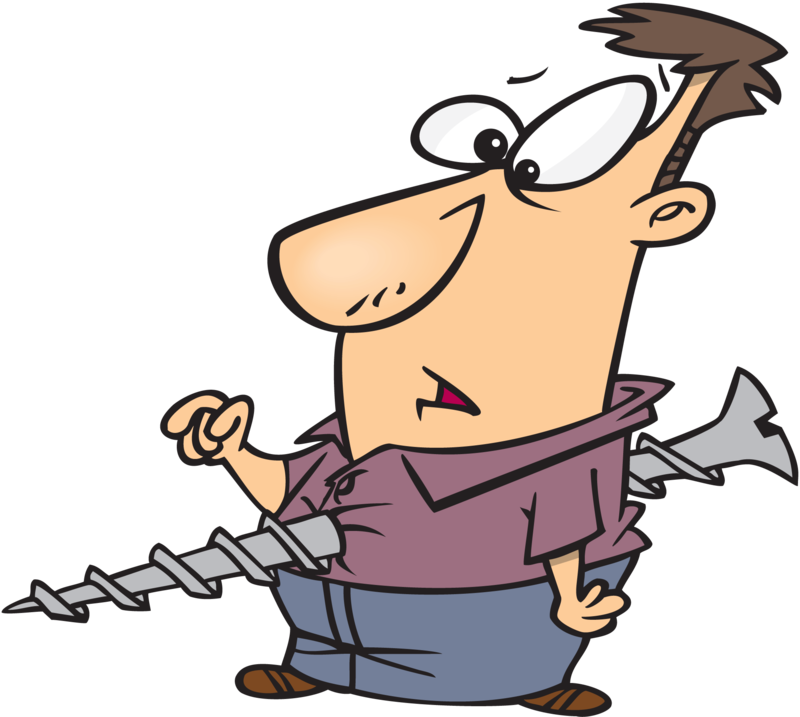 Prohibit lead in fishing tackle, establish a fishing tackle trade-in program to encourage consumers and industries to transition away from lead-based tackle, and encourage further study of lead in fishing tackle. o Establishing an ammunition trade-in program. o Establishing a wild game meat testing program for donated products. o Developing a health education program and public education materials for lead exposures in hunting and wild game consumption. In post-1978 homes, dust, soil, and water testing should be conducted at the time of transfer of the property or upon the occurrence of some other reliable event, or whenever there are indications of a high-risk activity, such as stained-glass window work or ammunition reloading, being done in the home. Here we have the elites punishing their subjects for the mistakes of the elites. Michigan government at its finest. Why would we expect anything else from the party of Clinton? 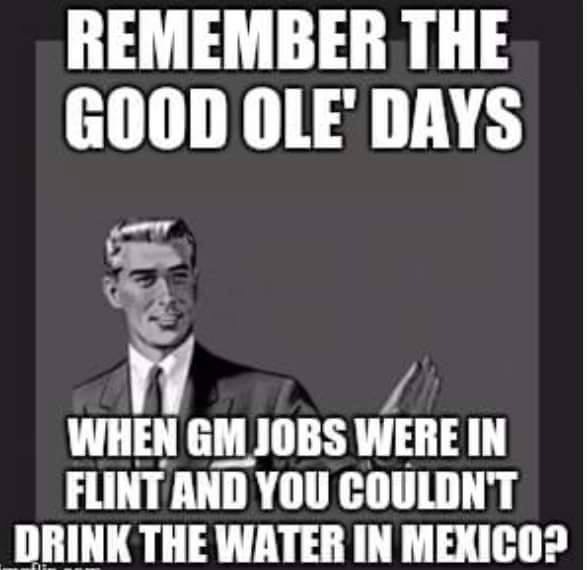 Democrats have been screaming about Republican leadership’s failure on the Flint water issue. 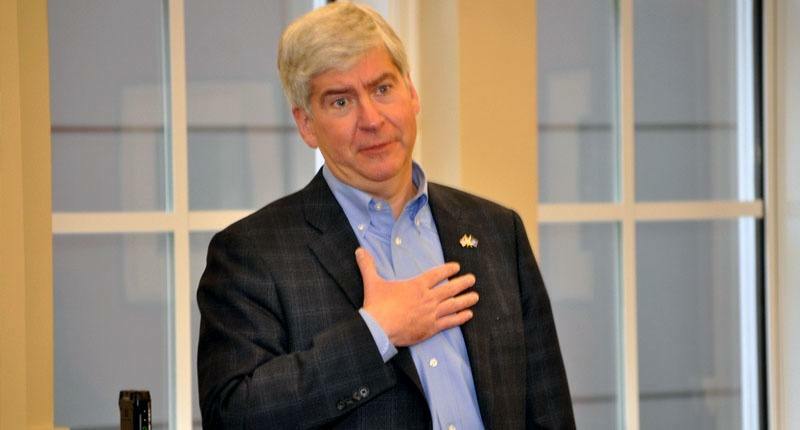 While we have no overreaching love for the governerd, who brought us expansion of Obamacare, lost our insurer of last resort, broke the law for his ‘roads’ funding boondoggle, and still hands out money like its not his own, it was not Rick Snyder who put lead in the pipes of Flint. He took credit for the failure of his bureaucracy to properly assess a fast developing public health issue, but he surely did not cause the problem. 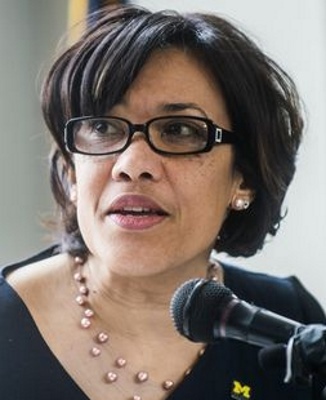 “Henderson’s lawsuit alleged that Mayor Karen Weaver ordered her assistant and a volunteer to redirect donors from a local fund set up to help families affected by the water crisis to her political action committee instead. The lawsuit charged that the city employee was “specifically directed” to instruct people “step-by-step” to donate to the mayor’s “Karenabout Flint” fund through its website, rather than the Charity Safe Water/Safe Homes fund through the city’s website. Our zillionaire Governor is hitting up the Michigan Treasury for $ 1.5 million to cover the cost of really excellent lawyers who are mounting his criminal defense in the Flint water fiasco. Yesterday, he suggested that the two MDEQ employees criminally charged in the Flint water fiasco will no longer receive State paid legal representation. The State had been paying for outside counsel for Stephen Busch and Michael Prysby since AG Schuette stripped them of direct state assistant AG legal counsel in February. Apparently, the distinction here is actually being criminally charged. Snyder hasn’t been, but Busch and Prysby just got charged.. AG Schuette could not resist piling on with the same common law misconduct in office felony charge used against Courser and Gamrat, but the actual substance of the statutory charges here are lying and tampering with evidence. You will be forgiven for harboring suspicions that this is another vehicle to promote Common Core. It is. Same type of political сове́т that did such a fine job promoting Proposal 2015-01. Remember TAMC? This playbook is getting old. Just a few short weeks ago, it appeared that the Presidential race and State House elections would dominate political news in Michigan for the rest of the year. Now it appears that courtrooms in Detroit and Lansing will provide compelling political drama as well. Drama which is going to cost Michigan taxpayers a bunch of money. There have been a number of lawsuits filed over the Flint water fiasco (over 71! ), but yesterday a consortium of law firms filed a Federal class action lawsuit on behalf of Flint residents using the 1970 Racketeer Influenced and Corrupt Organizations Act. This represents a whole new level of legal pain. Civil RICO provides for treble damages when a pattern of racketeering is proven to have occurred over time. It also guarantees the plaintiffs’ lawyers fees, a small fact which assures that civil RICO lawsuits will be pursued with enthusiasm to the bitter end. Conviction applies the stigma of typical previous RICO defendants, such as mobsters and drug kingpins, to a losing defendant. Michigan, at large, is a defendant in this suit. Capisce? Anyone who watched or listened to Mitt Romney’s lame assault on Donald Trump yesterday had to wince at the Obamacare architect and gun control proponent questioning the bona fides of the current Republican front runner. Hypocrisy at its finest. A blatant violation of Reagan’s Eleventh Commandment. A testament to the abject desperation coursing through the Republican establishment today. Stark evidence of how few friends the Republican establishment actually owns has. 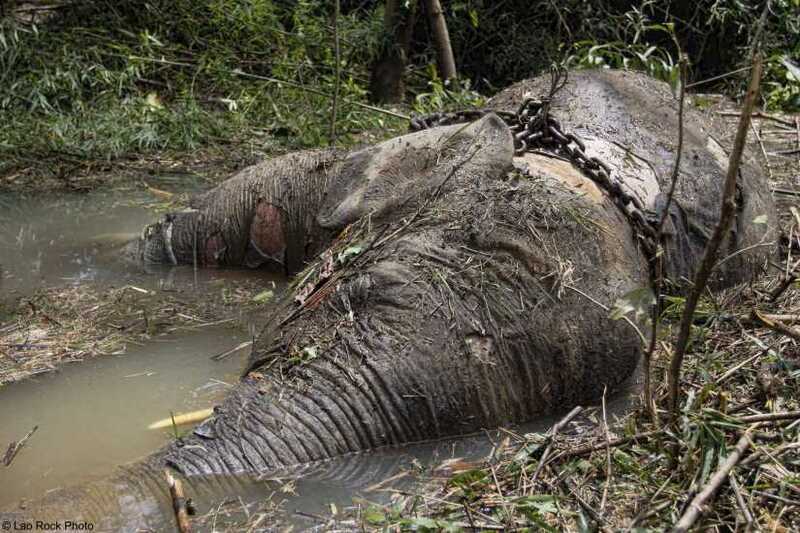 Just how did the Republican establishment get themselves into this predicament? 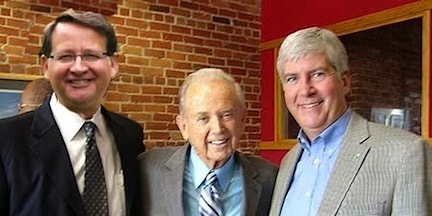 What does their predicament portend in Michigan politics? This year’s Presidential nomination process demonstrates convincingly that money is no longer a substitute for actual human support in a political process where the great unwashed get to vote. Money – and the TV advertising it bought – had a 40 year run buying elections, but this elixir of modern American politics is no longer working. ¡Jeb! is very expensive history. The great unwashed are in open revolt. The Republican establishment has no one credible to make their case against Donald Trump. Absolutely no one who has even a shred of credibility with Trump supporters. 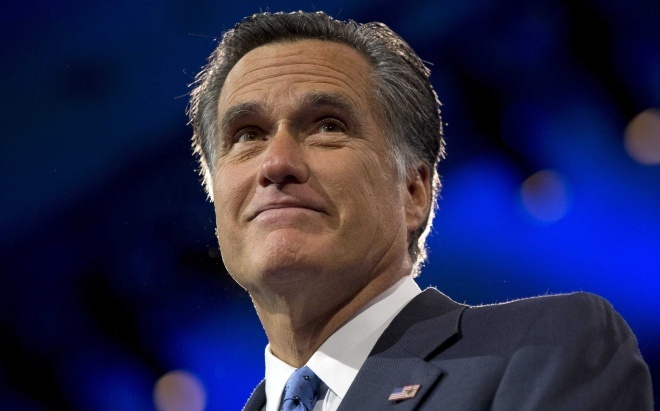 They sent Mitt Romney out on yesterday’s kamikaze mission because they had nothing better to offer. Then they will have to spend a mountain of wealth with no real prospects of success. And engage in strong arm tactics. Making an embarrassing spectacle of themselves.